UFC on FOX 24 went down tonight inside the Sprint Center in Kansas City, Missouri. The main event featured another successful title defense from flyweight champion Demetrious “Mighty Mouse” Johnson, as the champion took out Wilson Reis. In another exciting flyweight bout, Tim Elliot scored a unanimous decision victory over Louis Smolka. 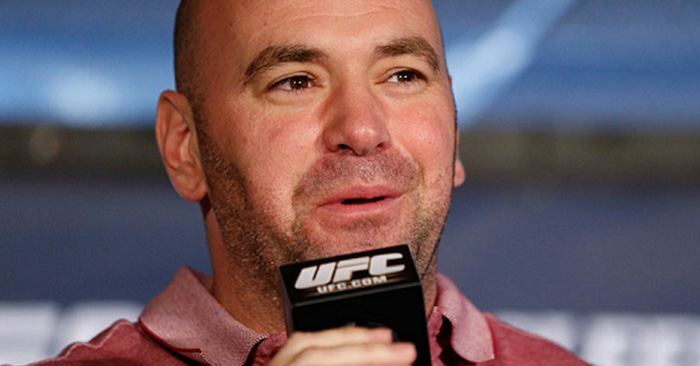 After the impressive win, UFC President Dana White apparently took great interest in the fighter. Dana White called Tim Elliot into his office directly after the bout. UFC on FOX recently tweeted, “After his #UFCKansasCity win, @TElliott125 was called into a meeting @Danawhite. What Dana said made him feel really good.” Alongside the Tweet, UFC on FOX released a video of Tim Eliot spilling the beans on what went down. The flyweight competitor explained that Dana White wanted to give the fighter his props. White claimed that a $50,000 fight bonus was likely in the fighter’s future. Apparently quite pleased with the fighter’s performance, Tim Eliot walked away with some great feelings for the future. After his #UFCKansasCity win, @TElliott125 was called into a meeting with @Danawhite.